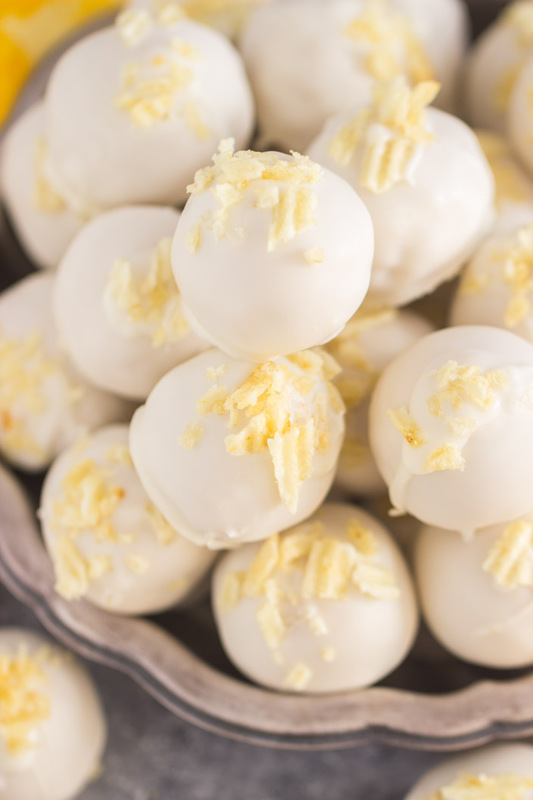 Milk Chocolate Buckeyes or these White Chocolate Buckeyes are perfect the way they are, but they’re even more tempting with bits of crunchy, salty potato chips. 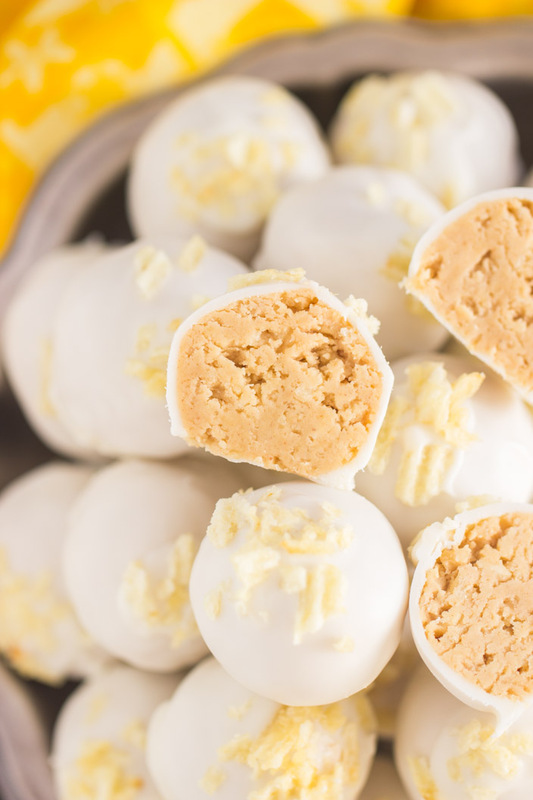 These Potato Chip White Chocolate Buckeyes are irresistible! What did you always feel like classic Buckeyes were missing?? Your answer is probably: NOTHING! You’re right. Classic Buckeyes with their sweet, creamy peanut butter center and their chocolate exterior are quite perfect. 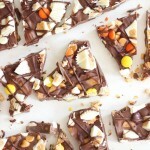 There’s virtually nothing that can top chocolate and peanut butter together after all. Except… there is one thing that could be tweaked that make Buckeyes better for me personally. Hear me out. The one thing that I would argue can actually improve Buckeyes? The answer is white chocolate! Now how can one improve those? 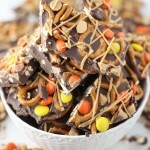 Well, who doesn’t love a good sweet and salty combo, especially if peanut butter is involved! So that’s the answer to that: Potato Chip White Chocolate Buckeyes. 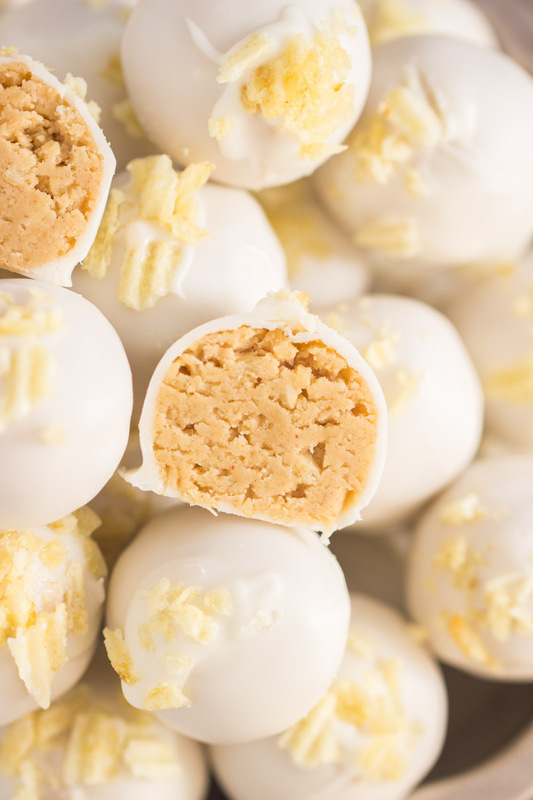 White Chocolate Buckeyes are improved by adding something salty and crunchy. 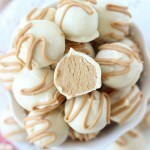 That’s what I did with these Potato Chip White Chocolate Buckeyes. 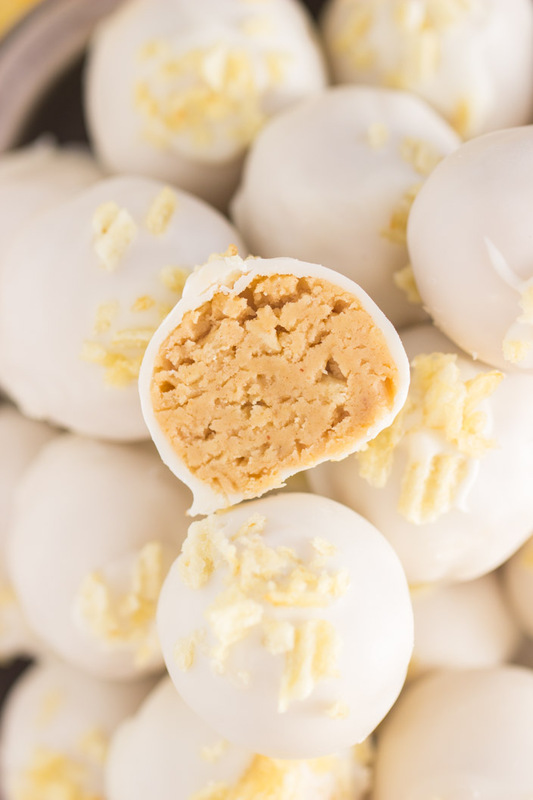 I made traditional Buckeye filling, but added crushed potato chips to it, and then dunked the Buckeyes in white chocolate. Next up, I’m definitely doing this with pretzels too. You just wait. These Peanut Butter Pretzel Truffles are fabulous, after all, so imagine those with white chocolate instead! 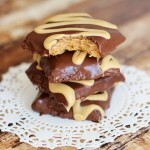 Or these Buckeye Graham Crackers! Totally need to do that. 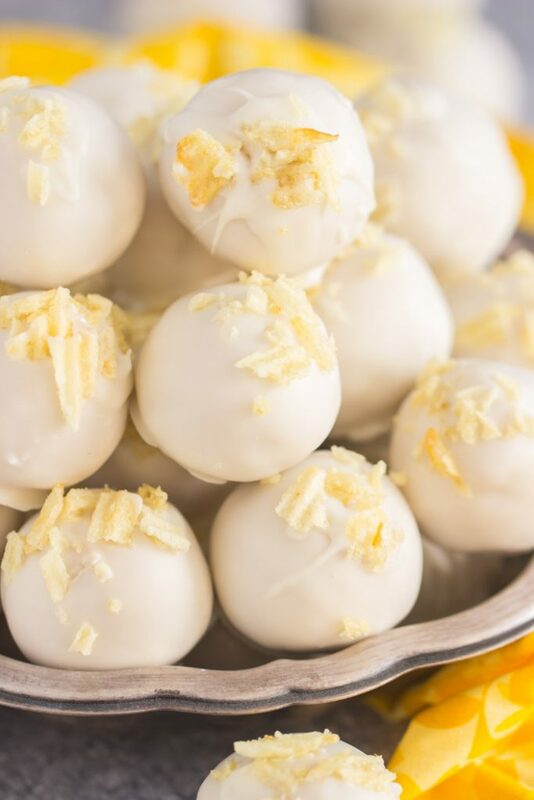 But this time around, potato chips felt fun and whimsical, and I was excited to do something different to add salty crunch to this Potato Chip White Chocolate Buckeyes recipe. I’m excited about the results, and you will be too. 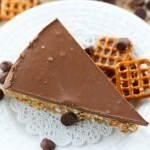 Try this recipe, and let me know what you think!